Don't sweat over dinner tonight. Simply grab some veal chops, dijon-style mustard, sour cream and a medley of fresh herbs like basil, sage, and chives, and you've got what it takes to make one killer marinade and an even tastier dish. Throw your chops on the grill alongside some seasoned veggies, and boom: dinner is served in 25 minutes! 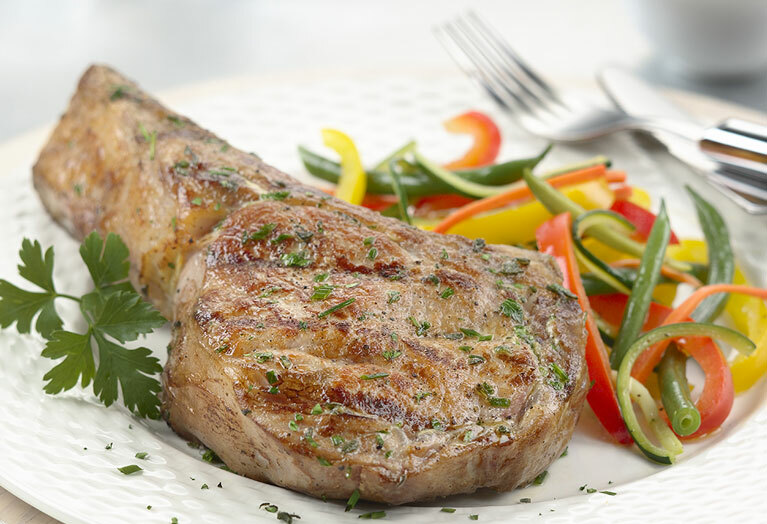 Press pepper evenly on both sides of veal chops. Place chops on grid over medium, ash-covered coals. Grill, uncovered, 12 to 14 minutes for medium (160°F) doneness, turning twice and brushing chops with 1-1/2 tablespoons mustard and sprinkling with 1 tablespoon herbs after each turn. Meanwhile, combine sour cream, remaining 2 tablespoons mustard, remaining 1 tablespoon herbs and water in small bowl. Set aside.